Scott joined the JHS team after taking a break from the private practice of law to co-found Texas Endurance Sports, LLC d/b/a Bicycle World. During his time as CEO and General Counsel of Texas Endurance Sports, Scott helped lead an expansion that involved the acquisition or opening of seven (7) recreational retail locations throughout the state of Texas. Under his oversight, the company more than doubled its annual gross sales in only nineteen months. His success in the business industry, in addition to having his MBA, gives Scott the practical experience necessary to assist his clients in all aspects of their business litigation and transactional needs. Scott was also a founding partner of Scanes, Routh & James, LLP where Scott’s legal practice was focused primarily on business litigation, eminent domain/condemnation, real estate litigation, and oil and gas law. In the courtroom, Scott has handled and tried a wide variety of complex litigation matters on both sides of the docket. His deep expertise in land ownership, land management, and oil and gas law gives him a unique and valuable perspective on the dynamic nature of real estate litigation matters. Scott has fully prosecuted condemnation matters for many Texas landowners. 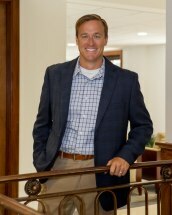 Scott is known by his clients and other attorneys for his energy and tireless work ethic. Scott graduated from Baylor Law School as the highest-ranking student in his commencement class, having already graduated as the highest ranking student in his MBA commencement class. During his legal career, Scott has been named to the Texas Super Lawyer-Rising Star list eight times (2007-2009, 2011-2015) by Super Lawyers, a Thomson Reuters service. Scott is married to Lee Ann and they have three children: Jonah, Ainsley, and Juliana. Lee Ann was the second highest-ranking graduate of her Baylor Law School commencement class and is also a practicing attorney in Texas. Scott is deeply involved in the Greater Waco community. He is proud to currently serve as a Deacon at Harris Creek Baptist Church, on the Board of Directors of Legacy Outfitters Ministry, and on the Board of Directors of the Waco Triathlon Club. Scott is also an accomplished endurance sports athlete having competed in IronMan Galveston 70.3, IronMan Austin 70.3, IronMan Texas, and the IronMan North American Championships. Competing in triathlons, marathons, and other endurance races.